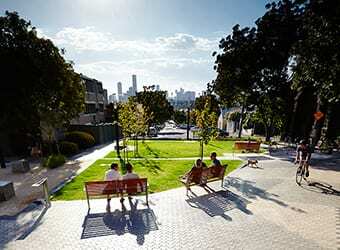 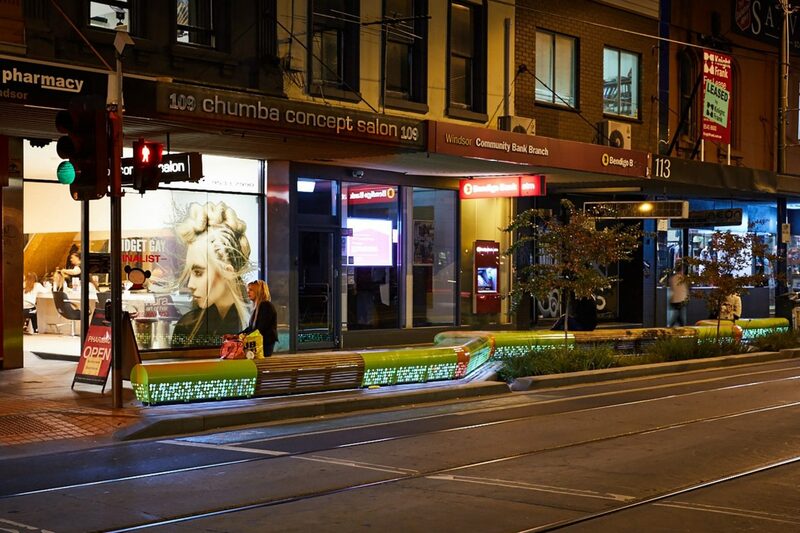 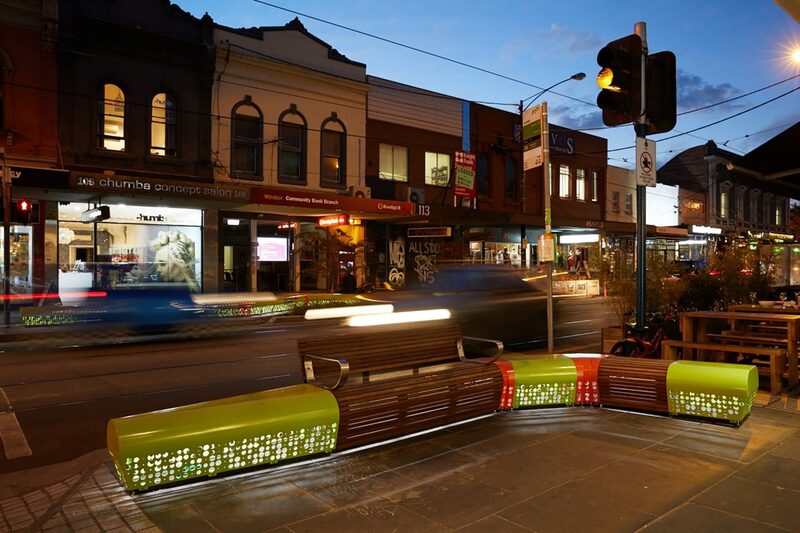 In 2013 Hansen Partnership prepared a streetscape master plan for Chapel Street on behalf of the City of Stonnington. 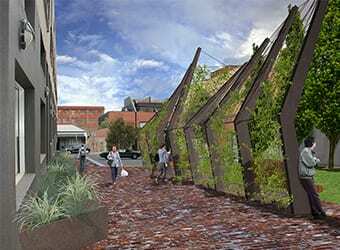 The master plan was titled ‘Re-discover Chapel’, in reference to the opportunities it identified to reinvigorate one of Melbourne’s original ‘destination streets’ as a means of keeping pace with other similarly-promoted inner urban streetscapes which have emerged as key competitors to Chapel Street in recent years. 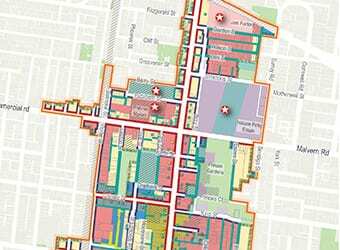 Rather than treat Chapel Street as a homogenous shopping strip, the master plan recognised the unique social, cultural and built characteristics of the four ‘villages’ which sit along the length of Chapel Street; Windsor, Prahran, South Yarra and Forrest Hill. 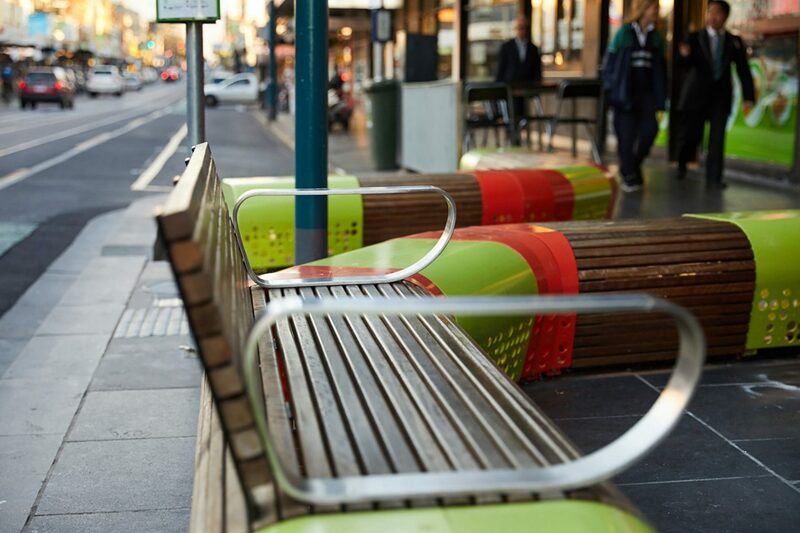 The streetscape between James Street and Duke Street, was appropriate for redevelopment as a ‘pause point’, due to its central location and proximity to a tram stop. 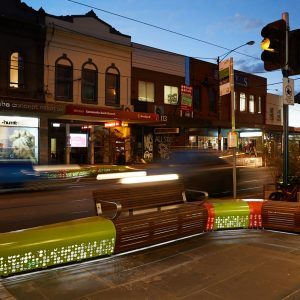 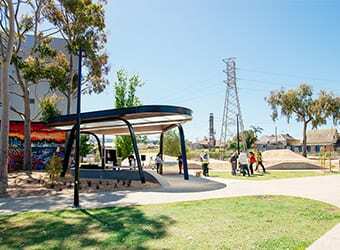 The site was ideally suited for the development of a discrete urban space with its own visual identity, consistent with the cultural identity and character of the Windsor village and its growing popularity as a destination for dining and entertainment. 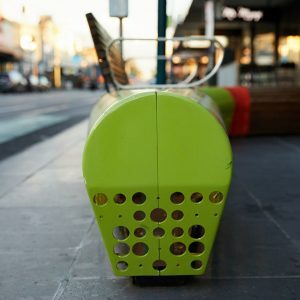 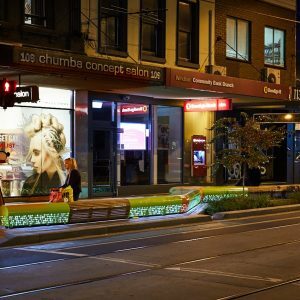 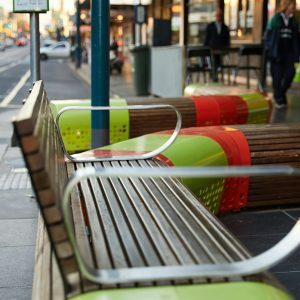 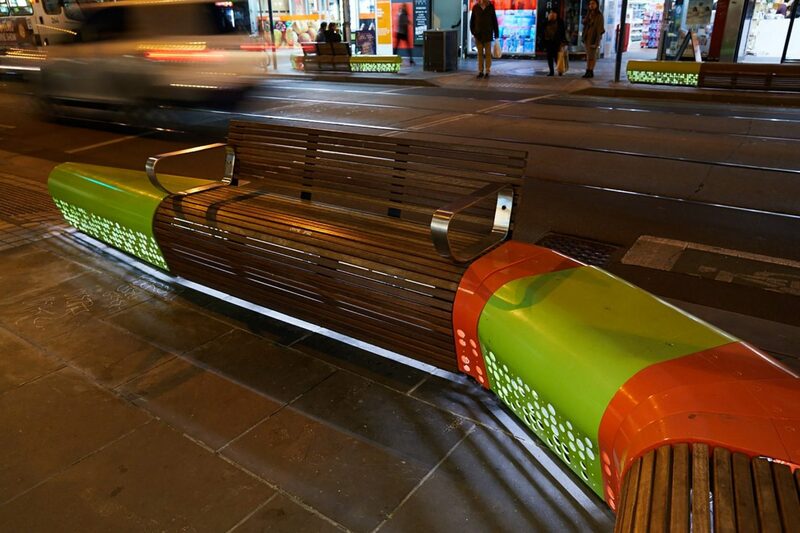 Bespoke seats in eye-catching colours and patterns were designed to invite locals and visitors to the area to sit down, rest, eat, socialise, wait and watch the world go by. 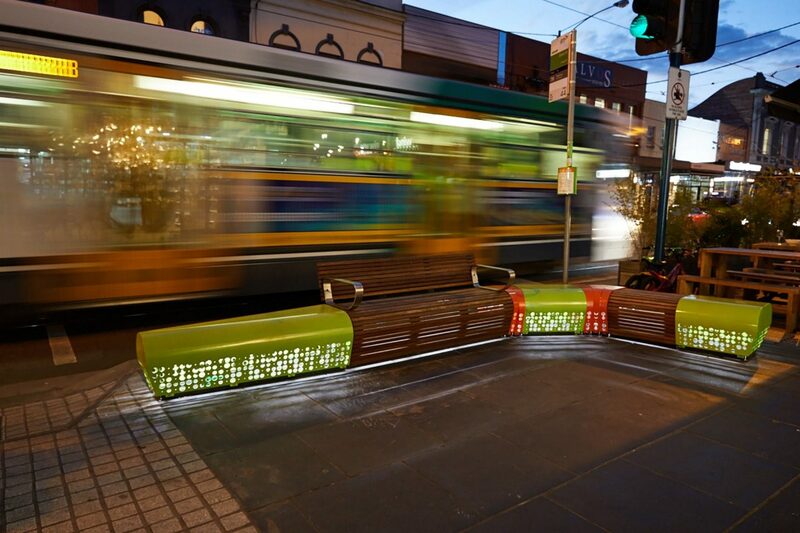 The design intent encourages people to spend more time in the area. 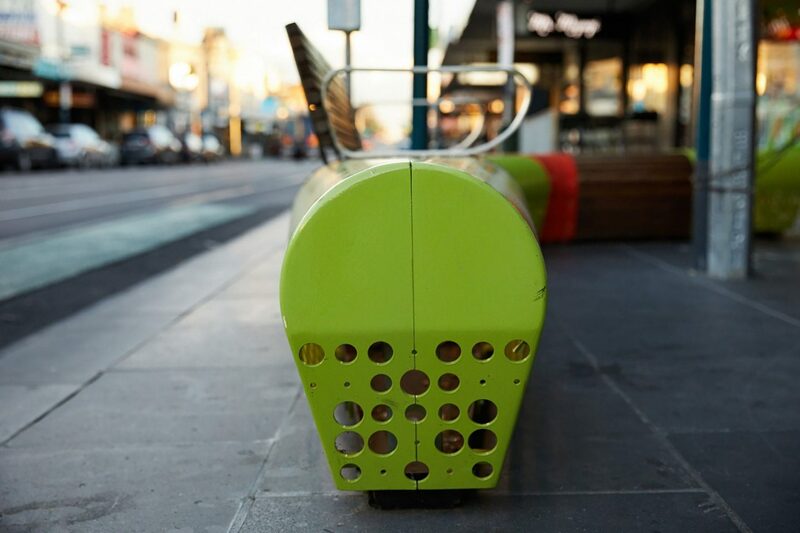 The seating configuration also acts to safely channel pedestrians through to the crossing lights, removing the need for barrier fencing, thus visually opening the street further. 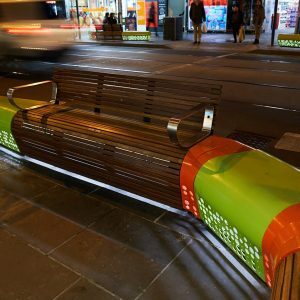 The seats are internally illuminated with LEDs that emit a soft glow through the laser cut pattern on the sides of the modules and through gaps in the slatted timber sections making the furniture distinctive and intrinsically linked to the location during both daylight hours and night-time. 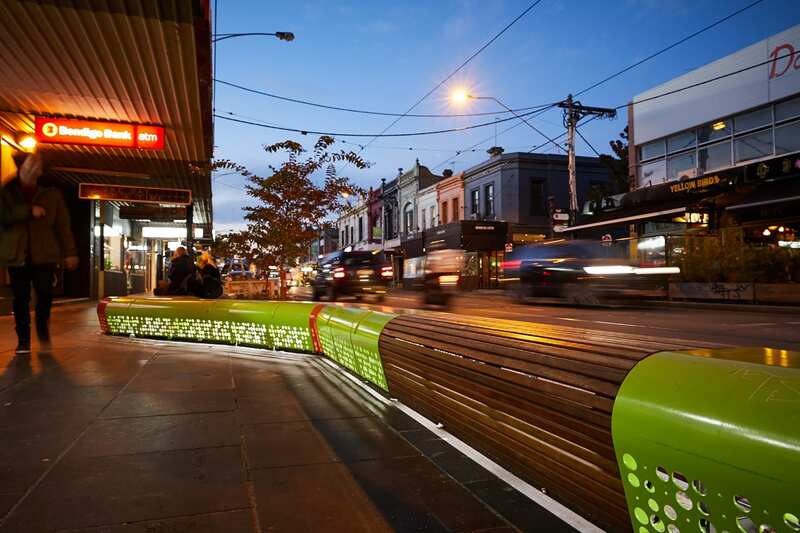 Other improvements to the streetscape included new paving of the footpaths and new artist’s mosaics within the footpaths. 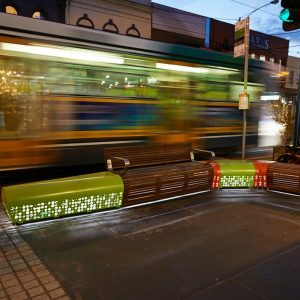 The result has enhanced the sense of place of the site and created a unique and colourful place that compliments the vibrant character of Windsor.